Hitman 2 developed by IO Interactive, is ready to be brought to the market. It features plenty of new missions that will surprise the players. But there is extra special news for fans of Hitman: The Complete First Season. IO Interactive released Hitman 2: World of Assassination’s trailer today. This will allow fans and players to access some beautiful new areas and locale along with the older favorites. Agent 47 is Back on Board! Hitman: World of Assassination begins right after the preceding part Hitman. Agent 47, a contract assassin is now on the hunt for the allusive Shadow Client. Furthermore, Agent 47 has planned to take apart his militia and uncover some dirty secrets from his past. He works for International Contract Agency (ICA), and has to travel to some high key locations to take out his targets. Hitman: World of Assassination comes as part of Hitman Legacy Pack. This pack will be available for free download for those who already own the first Hitman game. Included in the pack are loacations that will be familiar to returning players: Pairs, Bangkok, Marrakesh, Sapienza, Hokkaido, and Colarado. However, these locations will not be exact duplicates of the old levels. The developer states that locations will be revamped and upholstered. Additionally they will contain new features, interactions with the characters, picture-in-picture mode and some new gadgets for Agent 47. Included in his arsenal this time around are a dart gun and a sophisticated briefcase. This briefcase can conceal large and heavy weapons including sniper rifles. This will allow Agent 47 to move around without causing suspicion IO Interactive has dropped hints that these levels will be updated accordingly and cool features will be added soon. The players will need to come up with faster, quicker and more effective ways of killing the target. The game includes six missions in sic different locales across the world.Rumors are that one mission will probably be held at a racecourse in Miami. Gadgets that can cause severe concussions allowing you to have the upper hand will be also introduced. This arsenal can cause memory lapses too. Those who are not in possession of Hitman 1, they can always buy the pack to add to the game. Details are yet to be disclosed. 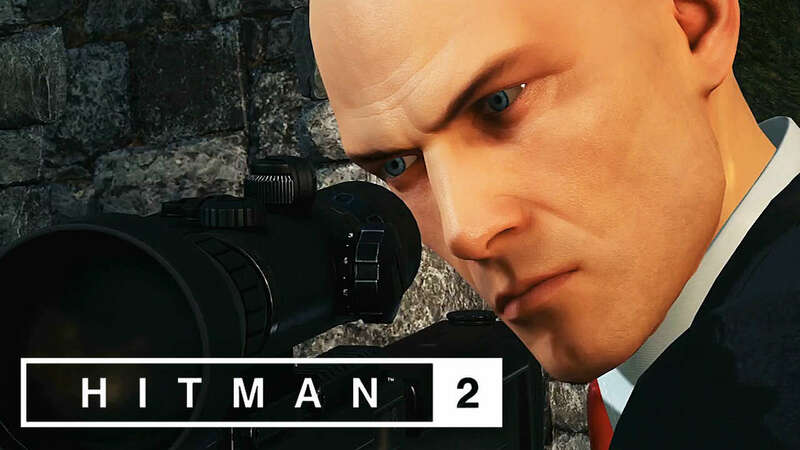 Hitman 2 was announced with the release of a cooperative multiplayer mode; Sniper Assassin. This mode will be available to all those who pre-order Hitman 2. This mode offers players the mission of killing targets using sniper rifles set on a time limit. Players will also be offered the option of playing as Knight and Stone alongside Agent 47.